Looks great and the engine sounds very interesting indeed. Yes the wheels don't do it any favours but I will be surprised if it doesn't maintain its position as the benchmark in this sector by some margin. I maybe mistaken but Is there anyway I got remove a user so I don't see any of there posts please ? I don't post a lot of messages on here but really like reading the posts and have got used to seeing certain users posting and look forward to what they have to say and they have seem to have great knowledge . Unfortunately there is a particular user MR VIX who is really spoiling my enjoyment of the forum . To the point where I know longer continue to read the threads because he seems to spoil them all and kill them stone dead . Those wheels are truly dreadful !! Hi - quite simple this. Click on a user's name and you'll see the option to 'Hide User's Posts'. Click on that and you can continue to enjoy the forum without having to read posts from those who are spoiling it for you. on the new ST - looks nice, not too much of a change, not sure about the new rear, doesn't look quite right but perhaps it's not quite so bad in the flesh. hope the engine makes it even lighter. hope they retain the excellent chassis. will be interesting to see the mods and remaps available. as everyone said, not changed dramatically so this will still continue to sell like hot cars. like the colour - focus RS should have been available in that colour!!!!!! There's quite a bit to like about the looks of it. Is that a long windscreen that almost turns into a sunroof? Hate the wheels and I would hope they've dumped that so-called top of the range option of Sony stereo that I just couldn't wrap my head around. Even more pleased now that I didn't buy the older one end of last year. Edit: Nothing wrong with differing viewpoints on a forum. Makes for healthy discussion and sometimes even a bit of fun. Let's build another bog standard car with not much effort put into it, with awful suspension and not get anywhere near up to date tech, then we can say it's a drivers car and everyone will fall for it, think we shall call it the fiesta St.I think Ford has lost it's mojo ,that's coming from someone who's had the majority of rs Ford's over the years. doesn't really stand out from a standard one for me, hope they've sorted the ride out, it'll sell well regardless. I was expecting more power? They seem to want to keep making the engines smaller and highly strung. I would have thought around 210 or 220 BHP would have been the way they would have gone. 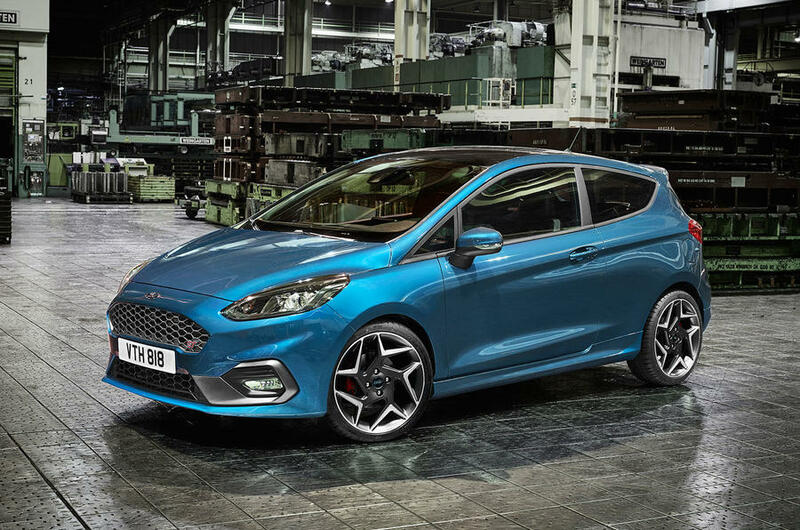 New Fiesta has a 'high-end' B&O stereo as an option. Suspect Mountune will bring the power as an optional extra, really is a superior upgrade model to other manufacturers. not exactly a revolution more an evolution - its got it were it needed it most the interior! Well at least you are being honest, I suppose we should be grateful for small mercies.